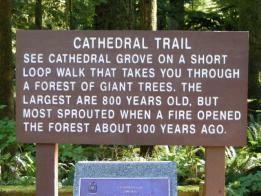 On your way into Alberni Valley, be sure to stop in and visit Cathedral Grove, located in MacMillan Provincial Park. 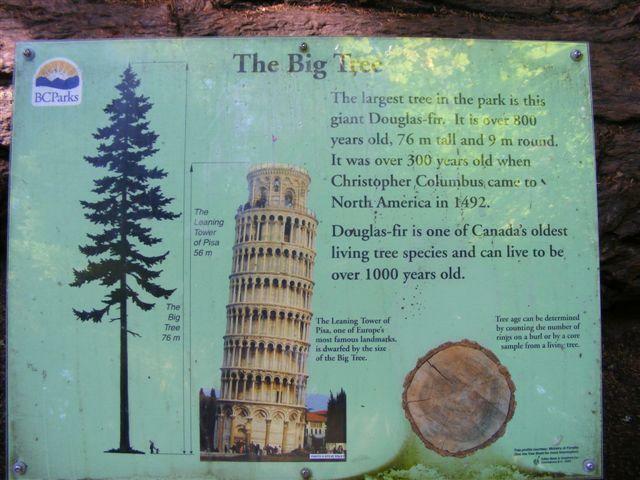 It is one of the most accessible stands of giant Douglas fir trees on Vancouver Island. 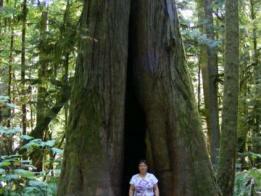 You can simply pull off either side of the highway to find trails leading into a maze of ancient trees. 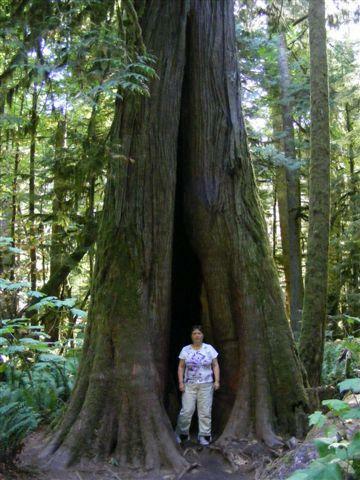 This natural wonder will take your breath away with its ancient Western Red Cedars and towering Douglas firs. As you stroll leisurely along, trees as old as 800 years and up to 76 metres tall spread their sheltering green canpoy high above the peaceful hush on the forest floor. 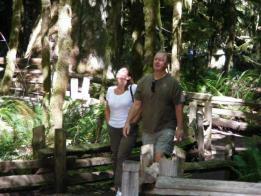 In addition, many species of wildlife can be spotted along the trails. 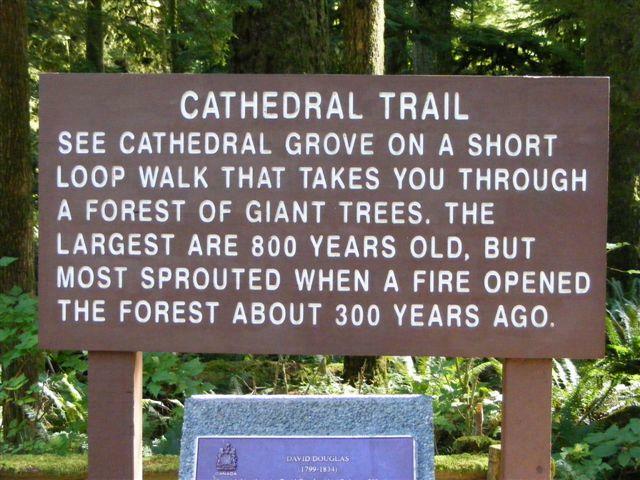 Nothing compares to a misty, cross-island drive thru Cathedral Gove in the spring. 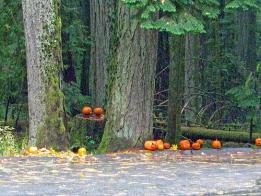 Except perhaps a visit in October when the locals line jack-o'-lanterns along the old-growth corridor. which are lit at night. Cathedral Grove offers a myriad of delights for explorers: muchrooms, birds and BC's lush native plants, all of which provide inspiration for the artisans who dot the Alberni Valley. 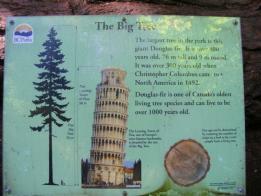 On New Years Day of 1997, a windstorm hit that was so strong it sent some of these trees to the ground. 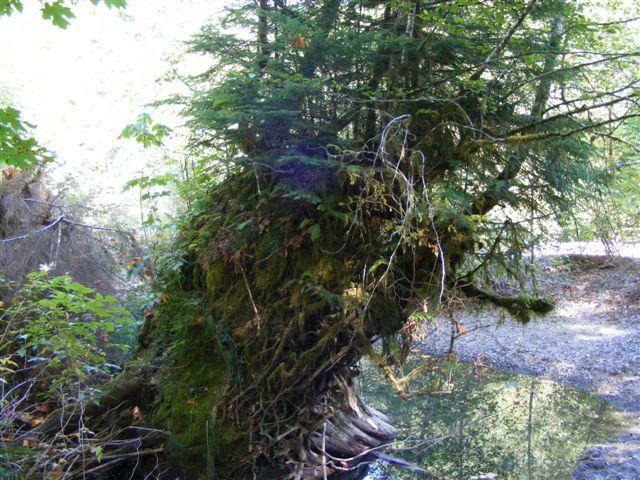 Visitors will still see many of the trees lying on the ground and the canopy above broken, so that the light hits the forest floor allowing the next generation of plants to begin growth. Before you come to Cathedral Grove, you'll wind along Cameron Lake. Notice the reflection of the forested mountain in the lake - what a fantastic picture! Stop off fora refreshing swim and soak in the rays! We found the Hummingbird by chance on our way to Long Beach. We were a bit reluctant to stay at a B&B because we'd had an unpleasant experience the night before at a B&B in Victoria. For this reason, we first asked to see the rooms before committing to stay. We were immediately impressed. 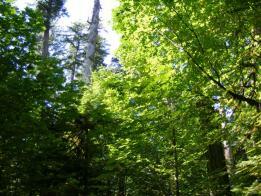 The rooms were as beautiful, cheerful, friendly, clean and bright as a hummingbird. We all decided to stay, we even stayed one more night than originally planned.